LITTLE HUMMINGBIRD SOCIETY: Tree Love at Metz Neighborhood Park! Come out to Metz and serve with Austin Parks and Foundation! Trees contribute greatly to the overall enjoyment of a park but cold winters and hot summers are hard on them. Mulching is a great way to help protect tree’s root system and provide it with rich nutrients! Get outside with your kids and help improve Metz while learning about our city’s most valuable asset! 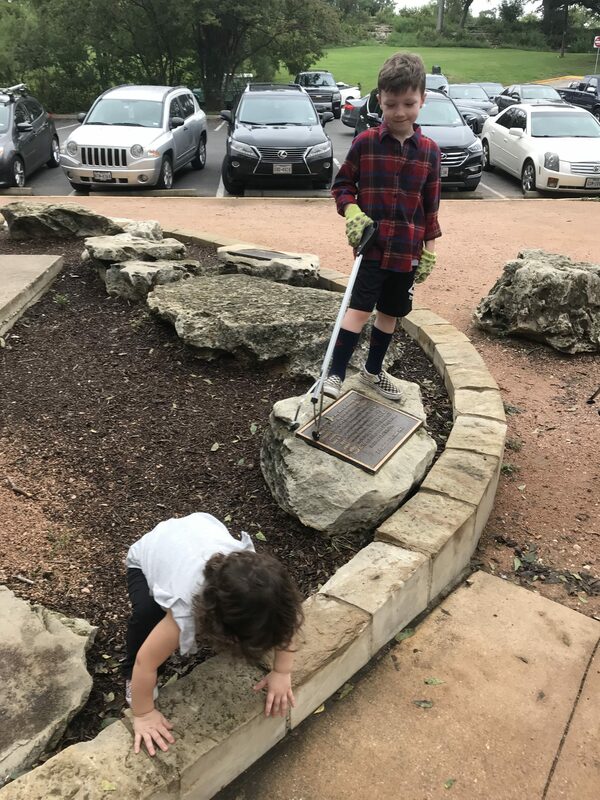 Little Hummingbird Society offers kids a great way to learn about giving back to their community and the importance of Austin’s parks, trails and green spaces. Parents can have fun with their kids while promoting a healthy lifestyle, volunteerism and advocacy for your youngest park-goers! We will provide snacks, sunscreen, gloves and tools. Snack, water and play breaks will be built into the day. Please bring your own water bottle and wear closed toe shoes. Thanks for serving in our parks with us!